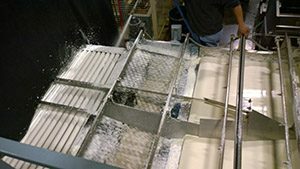 The first–and perhaps the most important step– in any food safety program is choosing the right cleaning products for food-processing equipment. And nobody understands this better than DECCO. That’s why growers, packers and processors have depended on DECCO products decade after decade. Our product specialists and technical support people work with you to understand your specific challenges, so we can provide the most effective Solution for you.